Just tried out the freshly released Spookify iPhone app. It is great :) Simple and Fun !! It is definitely worth the $.99 price . 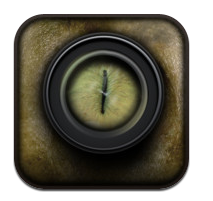 I think it may be one of the best Halloween 2011 apps. It is basically instagram but for scary haloween faces. Want to make an awesome facebook profile pic for yourself to get into the halloween spirit ? Spookify can help you. Want to just goof off with a friend and make some funny pics ? Spookify is definitely a good way to have fun for 10 minutes with a friend. And remember you heard about Spookify at For Techies Only first ! P.S. Erin is an icon for the Filters that are available, her filter icon is titles "Death" .